The RM Sotheby’s Techno Classica Essen 2019 auction was held 11-12 April at Messe Essen in Germany, resulting in $18.7 in total sales and an 86 percent sell-through rate. RM’s inaugural sale during Techno Classica Essen featured nearly 230 lots on offer. The Thursday, April 11th session was led by the top result of the entire sale when a 1937 Mercedes-Benz 540 K Cabriolet A offered from a Swiss Collection, achieved €2.255.000 to fall squarely within its pre-sale estimate. Featuring coachwork by Sindelfingen, the supercharged 540 K was presented in Essen having underwent a restoration and retaining its original chassis, engine, gearbox and bodywork. Stealing the spotlight during the Friday, April 12th sale session was a trio of Lancia rally greats, which sold one after the other at Messe Essen, each exceeding pre-sale high estimates. The preserved, Azzurro-painted 1975 Lancia Stratos HF Stradale was first up. Offered from three owners and showing 11,800km from new, the Stratos surpassed high estimate to a final €545.000 (est. €480k – 520k). The 1982 Lancia 037 Rally Stradale came under the gavel next. Another original car and surely one of the lowest mileage examples in existence with 3,500km from new, the 037 soared to a final €770.000, nearly doubling its high estimate (est. €350k – 400k). 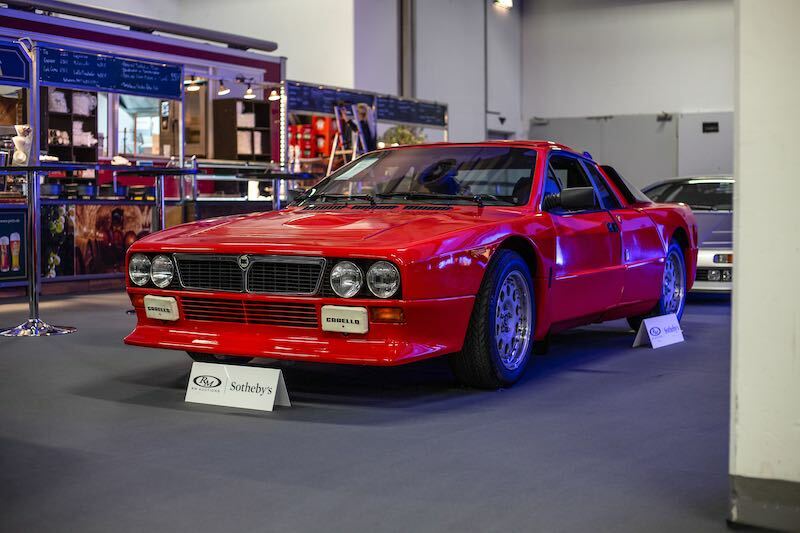 Finally, a 1985 Lancia Delta S4 Stradale, an original, 2,200km-example of Lancia’s Group B homologation Special, shattered its pre-sale estimate of €450.000 – €550.000 to achieve a final €1.040.000 to applause from the Essen crowd. Both the 037 Rally Stradale and Delta S4 Stradale achieved world-record prices over any examples previously sold. Another 85 modern and emerging collectibles from the Youngtimer Collection also starred at the RM Sotheby’s Techno Classica Essen 2019 auction, with results demonstrating interest in this segment further to what was witnessed in Paris, Amelia Island, and Fort Lauderdale. On Thursday, a 1990 Mercedes-Benz 560 SEC AMG 6.0 ‘Wide-Body’ surpassed its pre-sale estimate to bring a final €149,500. Increasingly popular with collectors, a 1992 Land Rover Range Rover with only 24,000 on the clock, doubled its low estimate bringing €40,250. Continuing the trend witnessed in Amelia Island and Fort Lauderdale, an original 1992 Nissan 300 ZX Twin Turbo from the Youngtimer Collection sold for a final €32,200 to eclipse its high estimate. 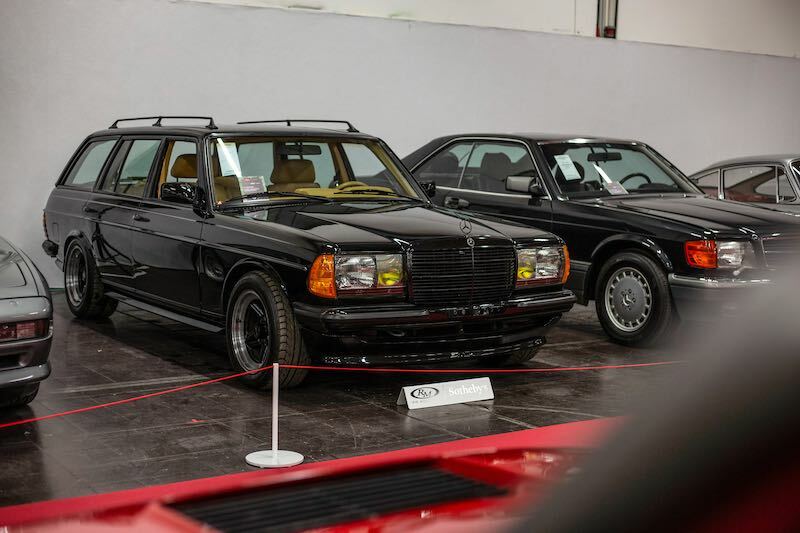 The bidding competition continued Friday, when perhaps the most highly anticipated lot of the Collection, a 1979 Mercedes-Benz 500 TE AMG, saw more than ten bidders raising their paddles for the pre-merger wagon, which eventually exceeded all expectations and made €143.750, more than doubling pre-sale estimate of €60k – 70k and establishing a record price for the model. Similarly, a 1984 Mercedes-Benz 500 SEC AMG 5.4 ‘Wide-Body’ also ignited a bidding battle, bringing a final €161.000, and far exceeding pre-sale expectations and establishing a new record. RM Sotheby’s continues its 2019 auction calendar with the offering of the Guyton Collection, 4-5 May in St. Louis, Missouri. This sale features more than 60 Veteran, Brass, and Classic Era automobiles alongside hundreds of pieces of automobilia and collectibles — offered without reserve — from the collection of the late Mr. Fred Guyton, a prominent car collector, renowned architect, and well-known fixture of St. Louis. RM Sotheby’s European calendar continues with the company’s biennial Villa Erba sale on the shores of Lake Como, Italy, the official auction of the Concorso d’Eleganza Villa d’Este. The sale will feature 40 pre-war, sports, and racing car.